Tanyer, with an experience of nearly a quarter century and as one of the leading firms that have started the concept of living in comfortable and prestigious houses with car parks, swimming pools, security guards, is again giving life on the peaks with BulutOrman Evleri after Altınvadi, Altınova, Mavi Su Evleri and Asma Bahçeler in İzmir. 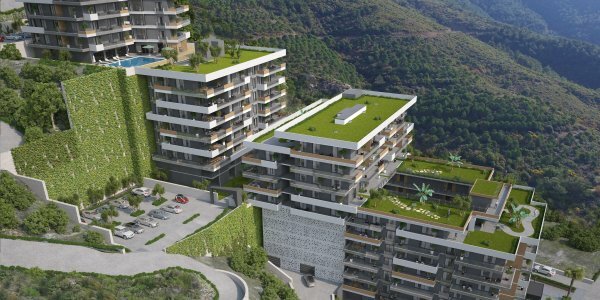 The prominent Tan Urla project in Bademler Village in Urla is also to be carried through soon. Besides working in the areas of infrastructure and superstructure manufacturing, deep excavation, filling, earthwork, micro and bored pile, jet grouting, injection, shotcrete and in so many similar areas with its rich machine park and authorized squad Tanyer Construction also designs, studies and operates on and it hires machines and vehicles. Our aim is; to foresee our housekeepers’ needs and expectations so that we can create such living environments where our housekeepers feel happy and restful; to provide reliable, easily accessible service of high quality by focusing on our customers’ satisfaction. Tanyer Construction who believes that customer satisfaction is interconnected with quality always works with the most qualified suppliers and equipped staff. When the earth in the construction area is not solid it is a method of construction in order to provide a stability for reaching the solid earth by a vertical deep guide. It is a method used for joining a construction element with another one to help it work together. In concrete buildings it is the process of tieing iron into the concrete. This is the general name of the process of shaping the area, excavating and rock breaking, softening and moving. Bored piles with a diameter of under 300mm are called micro piles. It is the process of reinforcing the ground by injecting compressed air, water and concrete into the ground. Guests had a wonderful time at the party thrown by Tanyer Construction in Asma Bahçeler in Narlıdere. At the party Tanyer Family and the residents of Asma Bahçeler celebrated the opening of the swimming pool in the early summer. TANYER Construction sponsored the premiere night organized by Türk Eğitim Vakfı (TEV) in order to support education in its 51st year. 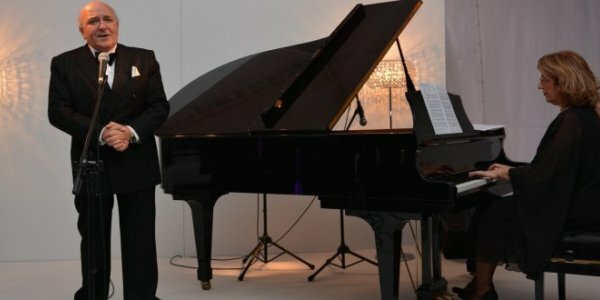 İzmir Branch of Türk Eğitim Vakfı (TEV), one of the leading foundations of educational scholarships and support, celebrated its 51st year at a premiere night at İzmir Adnan Saygun Cultural Center. 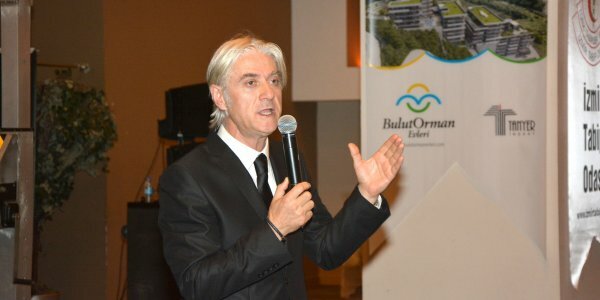 Ferhat Göçer made a live performance and TEV Support Education Choir’s and students of TEV showed their performances at the night that Ömür Gedik was the anchorman. Tanyer Construction took part in the fair of İzmir Property, Real Estate and Investment Fair and drew the attraction of the participants. With the real grass and olive tree, Tanyer Construction exhibited a colourful stall and gave the participants detailed information about Asma Bahçeler with its extraordinary architecture and about BulutOrman where it is in nature. 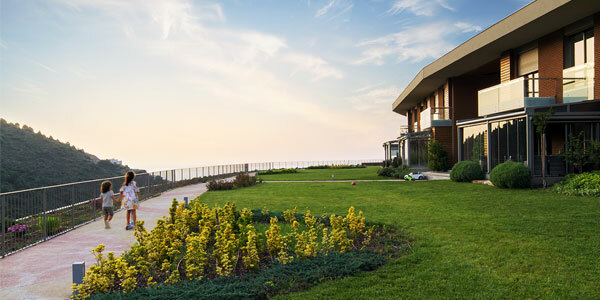 After Asma Bahçeler project which got awards with its extraordinary architecture in Narlıdere, now with lots of interest on BulutOrman project, Tanyer Construction is producing living areas respectful to nature, human oriented and combining both nature and technology together. The residents of Asma Bahçeler, built by Tanyer Construction in Narlıdere, met at a Sunday breakfast. They had colourful hours and enjoyed the sunny weather while having their breakfast with a sight of the nature and the sea. About 500 doctors with their spouses attended the night held in İzmir Special Days Hall at Tepekule Congress centre. Being known with its project in Narlıdere is giving a new start for a new model project with an investment of 25 millions TL again in the same district. With Asma Bahçeler, its new prestigious project for İzmir, Tanyer Construction added a new significant contribution for education. At the organization, held in the prestigious project Asma Bahçeler by Tanyer Construction, wold famous artists came together and a composite exhibition of art by Berrin and Gian Maria Piazzesi, Max Papeschi, Maurizio Cesarini, Vincenzo Viti, William Black, Anber Hacıarifoğlu and Nalan Aydemir welcomed a group of invitees from İzmir and İstanbul. A vast valley stretching down. Quiet and peacefully running Ali Onbaşı Stream. Pristline air. Natural walking and cycling tracks. Tens of routes to discover. Countless peaks to climb. An amicable life together with the birds and butterflies. Founded in 1994, Tanyer Construction creates “brand living environments” livable for generations by using the latest technologies in all its projects. 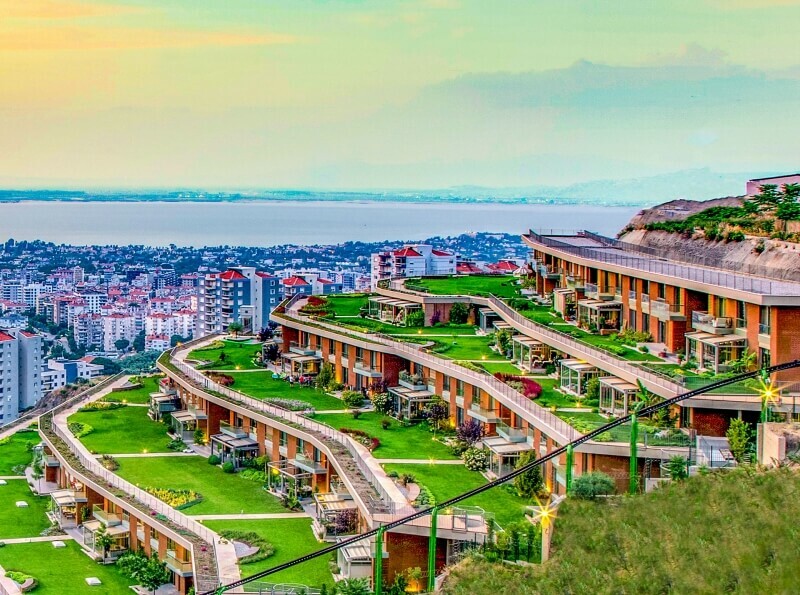 It is one of the firms that introduce comfortable and prestigious very special sites with car parks, pools, security guards to Narlıdere, the rising value of İzmir.